I just wanted to give a quick update on what’s going on here at Williams Outfitters. On January 12th through 21st I attended the Toronto International Boat Show representing Paris Marine and Crestliner Boats. It was my first show working a vendor booth and I can’t tell you how much I appreciate everyone at Crestliner and Paris Marine for welcoming me, showing me the ropes and making me feel comfortable. 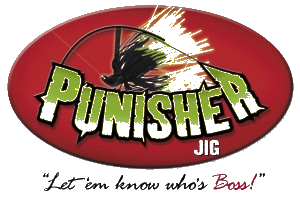 It really reinforced my belief in these great people and brands that have accepted me as a part of their pro staff. 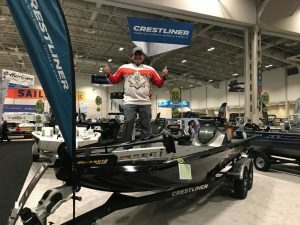 While at the show I enjoyed talking with boaters about the new Crestliner products and getting my first look at the new PT 20 similar to the one I will be running this upcoming season. 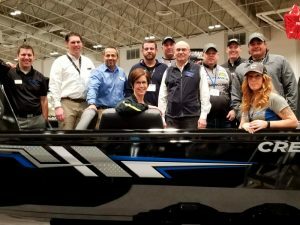 I also had a blast rubbing elbows with some of the biggest names in the boating and fishing industry like my good friends Italo Labignan, Moose Bertrew, Dave Chong and CSFL tournament directors Andy and Vita Polatta … along with countless others. It also gave me the opportunity to meet new people and friends such as T.V. 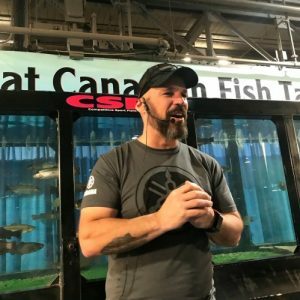 personalities J.P. Derose host of Breaking Boundaries on WFN and fellow Crestliner pro staffers Amanda Lynn Mayhew host of Just Hunt on Wild T.V. and Charlie Wray host of Fishful Thinking. Amanda, Moose and I became “show buddies” and you can see some of the fun antics we got up to at the show by following me on Facebook or my Instagram accounts. 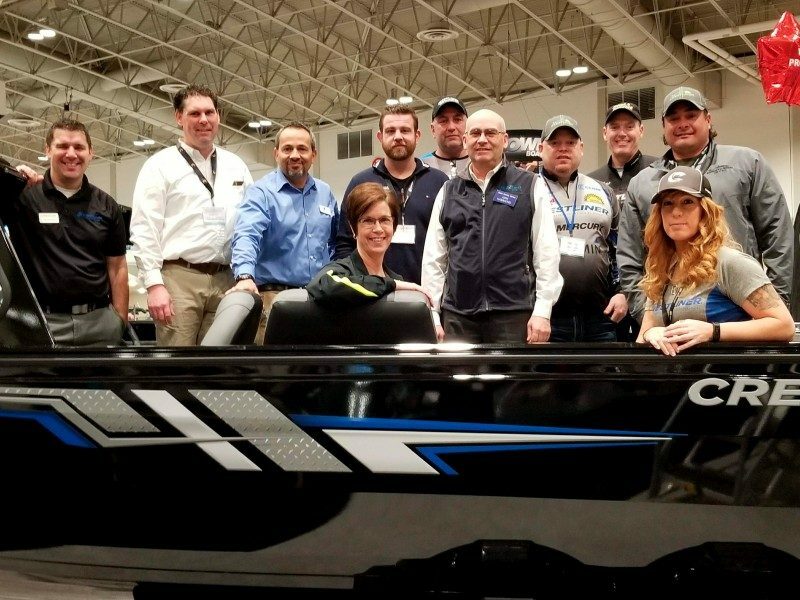 I am already looking forward the Spring Fishing and Boat Show coming up on February 16, 17, 18 & 19 at the International Center where I hope to unveil my new PT 20 Crestliner. We also have more big news for Williams Outfitters coming in the near future so stay tuned to the blog for more info! Talkin “fishy-strategies” with Mike Williams who operates Williams Outfitters . Need a Kawartha guide? Mikes the guy!